Here is a wonderful landscape painting demonstration by Artist Deborah Secor using Pan Pastels, Sofft Tools and Pastelmat paper. PanPastels are a unique pastel painting medium that you may not be familiar with. They differ from ordinary stick form pastels as they come in little pan like containers and are applied with special tools called “Sofft Tools”. There are other differences between PanPastels and ordinary pastels and you can learn more about them in this free video demonstration from the makers of Pan Pastels here. Deborah begins this pastel painting demo by first making a sketch on her paper using one of her oval Sofft Tools . She uses a gray color to do a rough layout of where her main shapes will go. She then grabs a yellow ochre and begins to sketch in the lighter clouds. She is not trying to be exact at this stage. She uses a paper towel to remove some of the pigment if necessary. She then takes a turquoise and an ultramarine blue color, adds them to her sponge tool and begins to indicate the sky. She then adds other shades of blue and mixes and blends them all together right on the paper to create a very realistic looking sky color. She then begins to add in the darker clouds using various grays and the foreground using a dark warm purple. She is still not concerned with details at this stage. She is just trying to establish the main larger shapes of this composition. Well I don’t want to give all of the details away. 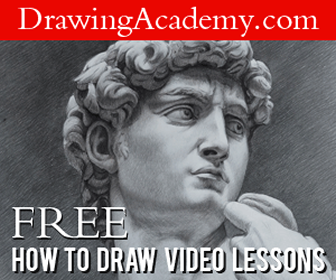 Watch the rest of this free pan pastel painting demonstration below. This video lesson is nearly 30 minutes in length, so grab your favorite beverage, relax and enjoy. A big thanks to Deborah Secor and the folks over at Vimeo.com for sharing this wonderful video. Landscape Painting with Deborah Secor from PanPastel on Vimeo. what kind of tape did she use to mount the paper to her board?